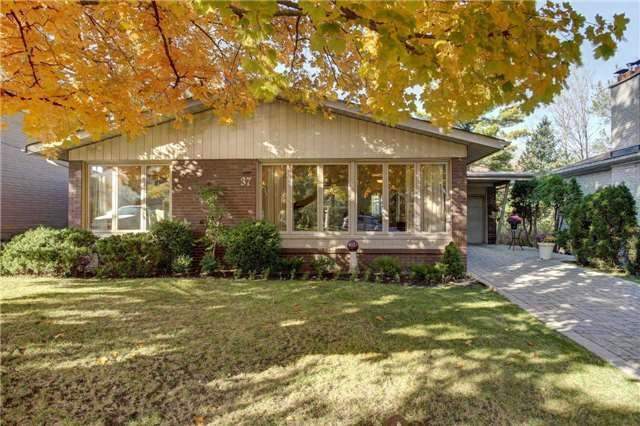 Gorgeous Reno'd Bungalow In High Demand Bayview Village Location. Bright & Spacious W/ Many Wndw & 2 Sky Lights Provide An Abundance Of Natural Light. Wood Burning F/P In Liv Rm & Rec Rm,Newer Hrdwd Flrs In Liv Rm,Din Rm & Brs,Gourmet Kit W/Glass Bksplash. Lrg Bsmt W/ 2 Dry Bars In Rec Rm,Workshop,Br W/ W/I Closet Can Be Use As Office. W/O To Lrg Deck W/Solar Lights.Interlock Stone Driveway W/ No Sidewalk Provides More Parking,Best School Zone Earl Haig. Want to learn more about 37 Viamede Cres? I would like to learn more about 37 Viamede Cres.